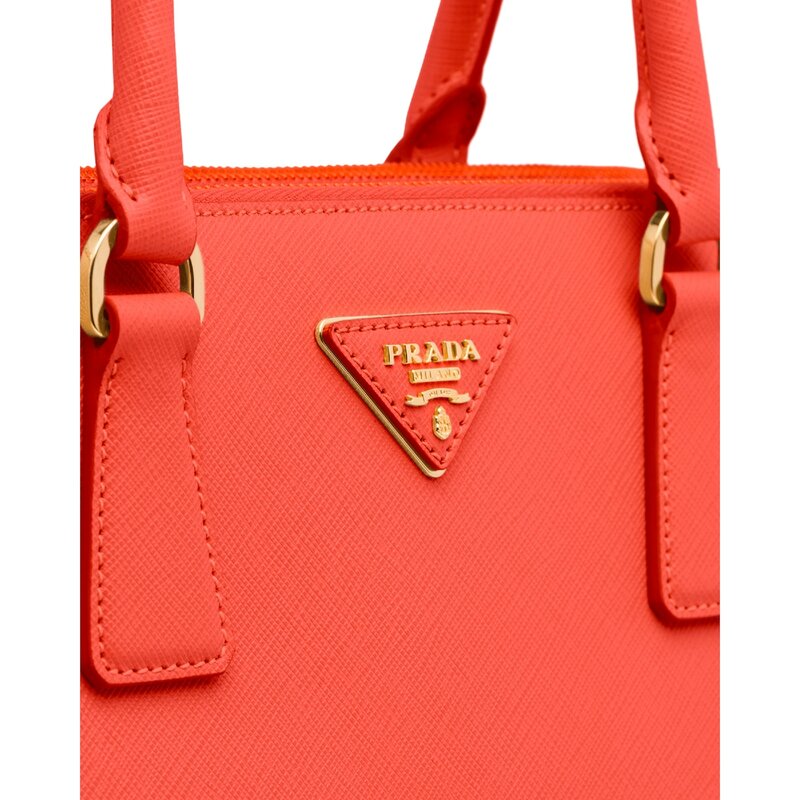 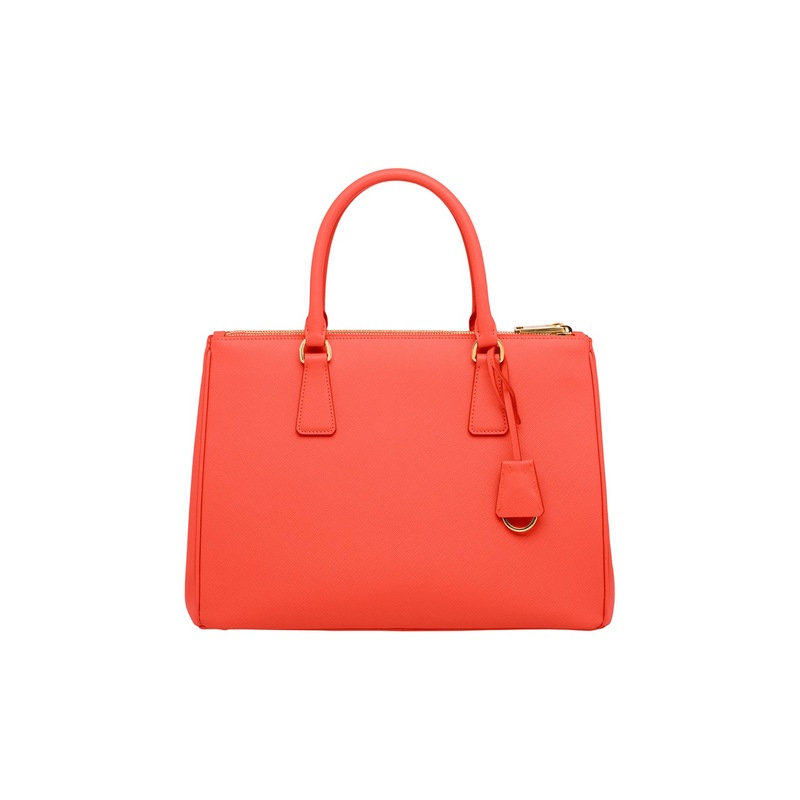 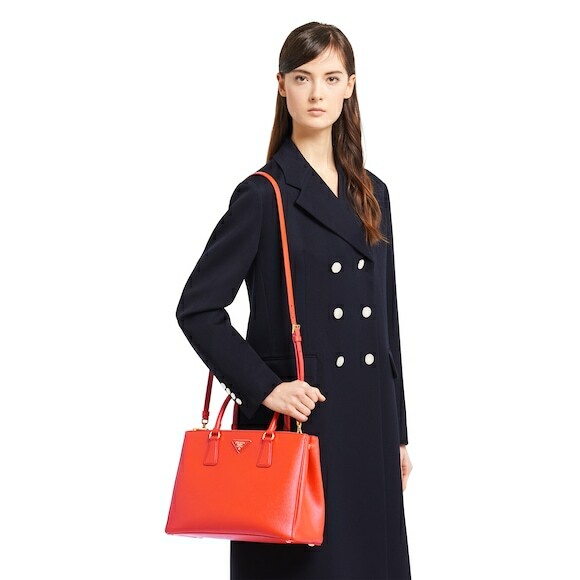 This Prada Galleria bag is crafted from Saffiano leather. 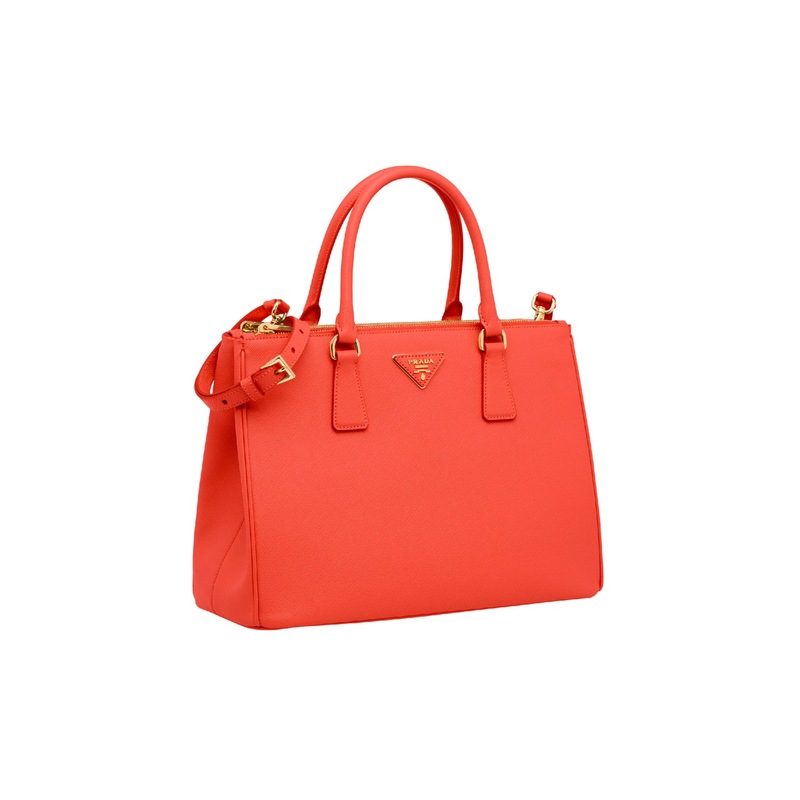 Its simple elegance is embellished with the Prada logo on a leather triangle and gold-toned hardware. 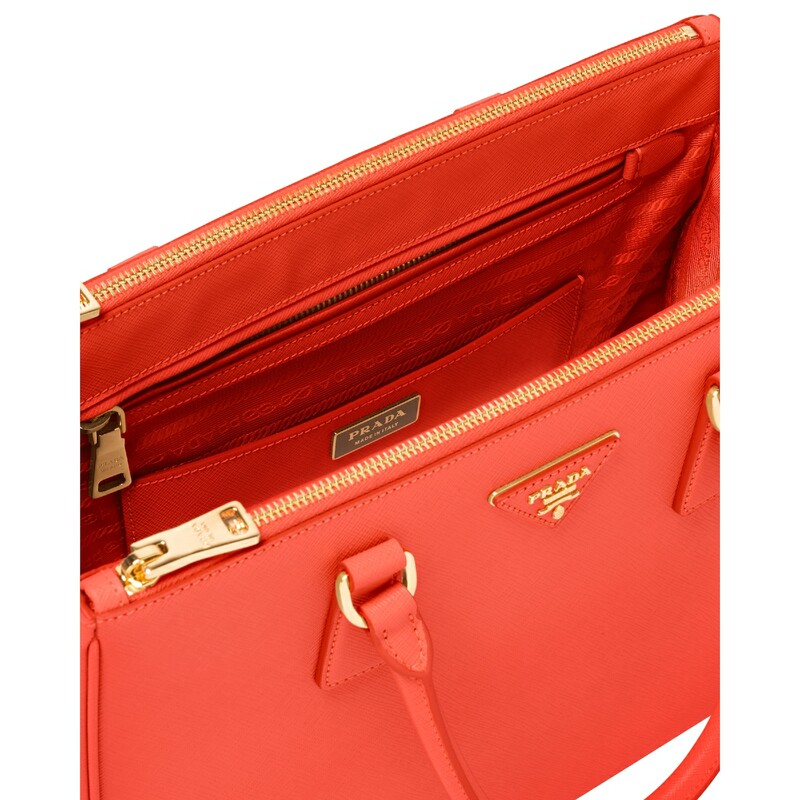 It offers various pockets and a detachable shoulder strap.